Allocate your expenses into your Sage 50 Accounts. With a tailored CSV file specifically for Sage 50, it's easy to import and map your transactions that you have in Pleo into your Sage accounting system. Select Sage 50 Desktop as your accounting system. 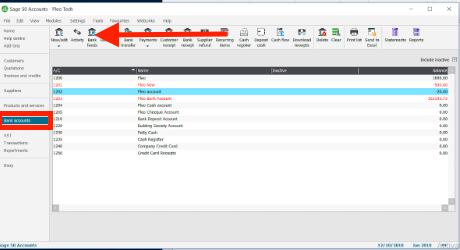 Input your Pleo Bank Account number that you have created in Sage. Go to the Export page and select the date range you wish to export expenses. 5. Click Export and then Download Export. You will now have a folder containing a CSV/XL file and receipt folder. PLEASE NOTE: The Type column is populated to suit a 'Cheque Account' setting meaning it will be populated as BP (bank payment) and BR (bank receipt). 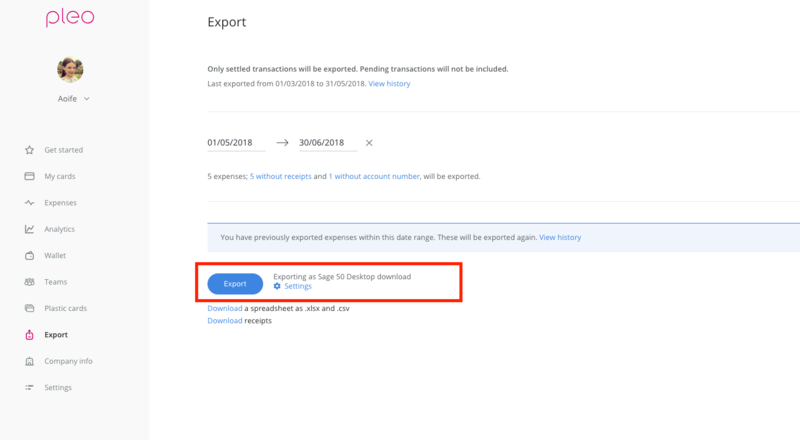 You will also need to allocate for wallet loads by doing a manual recording of the transfer in Sage50 from your business bank account to the Pleo account. How can I import this download into Sage 50? We have a format fitted for Sage 50 that is fitted only to the CSV format and is fitted specifically to be entered into Audit Trail transactions. Open Sage 50 and click on File in the top left corner. 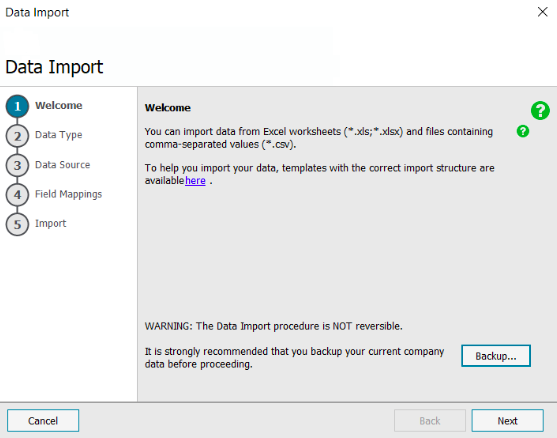 This will open the Data Import window and click Next. 5. Select Comma-separated (*.csv), and also 'tick' First row contains headings and click the click Browse. This will open a separate window where you can now select your recently downloaded CSV file --> Click Next. 6. You will now be taken to Field mappings overview. 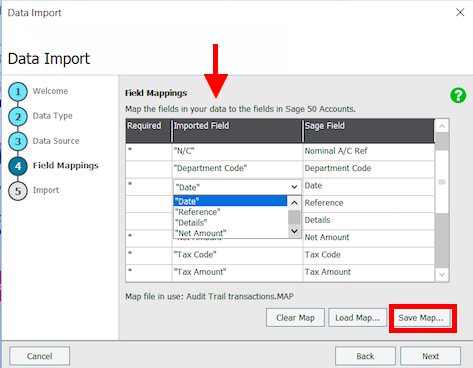 Make sure to match the columns of the import field to the mandatory Sage Field 1:1 within the dropdown available. We also recommend in selecting Save Map this mapping for future imports. 8. You will then receive a the final ' Import' window detailing the successful imported expenses. Done! 9. Click on 'Bank accounts' and select the 'Pleo account'. From here once you click on the Activity button you will be able to see all the transaction details. Finally, from here you can have a full overview of all recently imported transactions into Sage.